Posted on 30, July 2018 by EuropaWire PR Editors | This entry was posted in Banks, Construction, Financial, Infrastructure & Utilities, Netherlands, Turkey and tagged Bridge, construction, Dardanelles, Dardanelles Strait, Dokyun Kim, financing, infrastructure, ING, İstanbul, Limak, motorway, Turkey, world’s longest suspension bridge, Yapi Merkezi. Bookmark the permalink. AMSTERDAM, 30-Jul-2018 — /EuropaWire/ — A two-kilometre suspension bridge, the world’s longest, is being built over the Dardanelles Strait in north-western Turkey linking Europe and Asia. ING helped secure €2.27 billion of financing for the project that involves an international consortium of four clients. 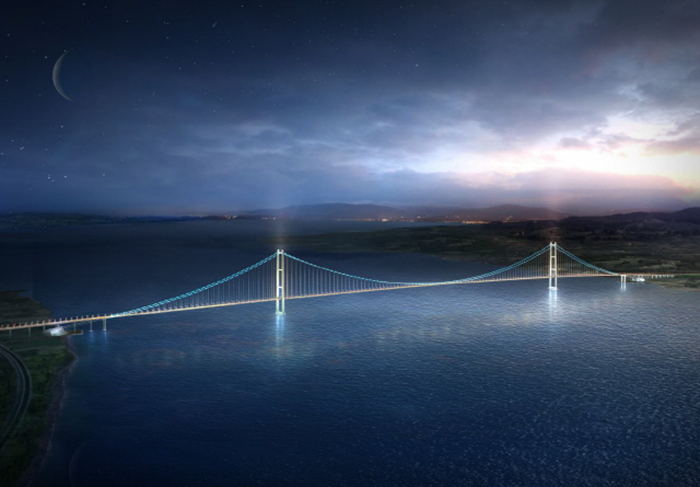 Situated some 200 kilometres south of Istanbul, the bridge and adjoining 89-kilometre stretch of motorway will connect Turkey’s existing road network on either side, adding economic and social value to Turkey. The four clients participating in the project are South Korea’s SK Group and Daelim Industrial, Turkish conglomerate Limak and construction firm Yapi Merkezi.